Sportsbooks online betting is the absolute best way to maximize your sports-themed fun, especially for college football. Normally, watching your favorite team crush their rival is enough reason to get out of bed, but taking advantage of the lucrative lines offered by offshore sportsbooks makes tuning in for NCAA football matchups more than exhilarating. On top of bragging rights, US online sportsbook players can cash in on lucrative odds. The college football season will commence this upcoming weekend, with a flurry of contests to fit your viewing and betting needs. Once Saturday’s action is in the bag, sportsbook online betting fans can begin to look forward to Thursday night’s contest. Thursday night will pit the Tulsa Golden Hurricanes against the Oklahoma State Cowboys. Afterwards, NCAA football fans can tune in to the Ohio State vs. Indiana contest. 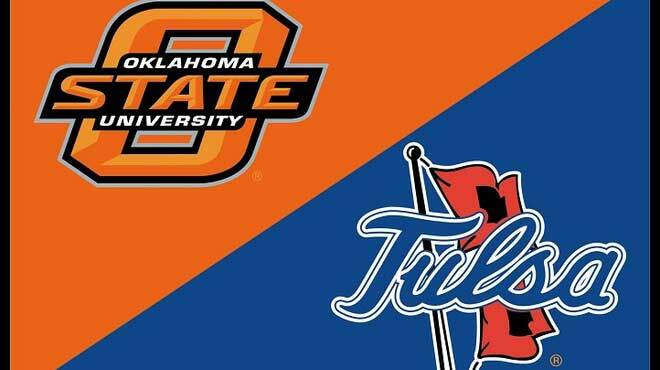 While most people will agree that the latter is more exciting than the former, the lucrative odds available for the Tulsa-Oklahoma St. matchup makes it the better betting option. Take a look at the action US online sportsbooks are putting together for this contest. The Golden Hurricanes are coming off a season in which the program finished 10-3 (6-2 in AAC play) overall. That record gave way to a second place finish in the West Divisions, as well as an invitation to the Miami Beach Bowl, where they triumphed over Central Michigan in stellar fashion, 55-10. This season, the Hurricanes will be looking to somehow earn an invitation to the NCAA playoffs. Phillip Montgomery returns in his 3rd year with the program, ready to tackle a tough schedule. In 2016, the Oklahoma State Cowboys team finished 10-3 (7-2n in Big 12 play) to earn the title of the second best team in the conference. Oklahoma State had their eyes on first, but rival Oklahoma came out on top. However, the program performed well enough to garner an invitation to the Alamo Bowl, where they faced Colorado and came out on top 38-8. Mike Gundy makes his return at head coach, marking his 13th season with Oklahoma State. Gundy will be looking to kick off the 2017 season on the right foot by picking up a win over a lower-ranking team. Picks: Obviously, most US online sportsbook players will be picking Oklahoma State straight up. Nonetheless, the odds MyBookie is offering on their opponent makes a small bet on Tulsa seem like not a terrible idea. Granted, the key work here is ‘small’ – you don’t want to risk too much right out of the gate. The totals line also has some value. This contest will mark the first time either team has stepped onto the gridiron to face an opponent who is not messing around. Will they score more than 72 points? Or will they fall short of that mark?